So with the end of 2016 now here, its my favourite post of the year. Yearly Favourites, mostly super obvious, but hey - I love reading them, and think they round up the year nicely! This beauty has just been re-released, and for good reasons too. This is STUNNING. In my opinion everyone should have this one. This is every warm toned eyeshadow obsessed girls dream. Every shade you could hope for in one palette. Warm Perfection in a palette. This has earned it's Holy Grail status online for a VERY good reason, this foundation is incredible, and I am yet to meet someone who didn't like it. I LOVE it. It just makes my skin look flawless, and the number of shades is fab too, there is something for everyone! Again this has well and truly earned it's hype online. This is the perfect under eye cover it all concealer. I love the shade range, and the formula is just perfection. Not too thick, not too dry. Just Fab. Ok I admit it, I hated the idea of a sponge to begin with - now I am a total convert. It just makes applying makeup so easy. And I use it for foundation, concealer, contour, highlight, baking.. the list is endless, and these will not be going anywhere over the next year. One of my goals for 2017 is to try an official Beauty Blender though - I still haven't! Last year my top pick was Honey Love, this year it needs to be Velvet Teddy - but in complete honesty I use them both equally, and love them both. This one is just rosy, browny perfection. Again all the hype - but it is there for a reason! I love the eye brushes from this set the most, especially the A06 which you seem to get in any of their sets. I use this daily for my eye makeup, and it I was to do my eyes using only one brush - this would be the one I would choose. I love this shade. Being on the paler side a golden highlight can just look ridiculous, so it is really nice to see a highlight designed for us fair folk, and this one is just perfection. I love it. Hello Perfection. I love this shade, and without a doubt the most used this year. About 3 months straight I wore this, fingers and toes! This is without even a little bit of doubt the best show I have watched in SO LONG. I binged watched the full thing in a week, and I still cannot stop thinking about it. I need MORE! I love Tati, I love James and I love Pooka, but mostly Pooka. Mainly I love her for her honest reviews, I love how a couple million followers hasn't changed her, I love how she still spends money on makeup, and still LOVES what she is talking about. You can tell she is enthusiastic over it. But mostly I love how much she posts. She is regular, and reliable. LOVE her content! I love her content, her photography, her. I love how despite 50K+ followers on BL she is still the same as she was at 1K, no change. I also love how she has a job other than blogging - it is inspiring and wonderful to see. We also have very similar tastes when it comes to makeup, and I love the content she produces, always well done and thought out. Last but definitely not least my baby... My 15" MacBook Pro. I swear I am now at the point where I don't know how I functioned before I had this. I love how it speaks to my phone, it just KNOWS me, I love how I have my texts, calls, emails, calendar, whats app, photos on here, no fuss. I love how personal it feels, I just love everything about it, and I am never going back to Windows now lol, It is also a total winner for uni/college. Not only is it super fast - it holds its charge ALL day. No charger required. Great favorites! The beautyblender was definitely one of my favorites of the year too. I wasn't crazy about the TOo Faced palette when I swatched it in stores but the colors are very pretty :) That Charlotte Tilbury lipstick is such a gorgeous shade! I don't think I've ever tried a nudey coral before but I totally want to. I love the sheer glow so much! I've used 2 bottles and I'm gonna purchase my 3rd bottle soon! I love this especially the photos!! I've attempted a favourites over on my blog but it isn't anywhere as good as yours!! I can't wait to see what 2017 holds for you and your blog!! The Nars Sheer Glow and Urban Decay Concealer have been my favourites this year, I am obsessed with them! Mac Velvet Teddy is such a gorgoeus shade!! I love the look of the Charlotte Tilbury lipstick too! Wow this list is awesome. Definitely saving it so I can discover some new things. The UB comcealer is one of my faves too. I must get my hands on the sweet peach palette! I sooo want to get my hands on the Too Faced Peaches palette!! Now that you've shown and talked about it, I really want the Violet Voss Holy Grail Palette!! The colours are really pretty and I feel like you can have lots of fun with them. Great post! I am going to have to try out some of these products in 2017, they sound incredible!! Girl YES to Game of Thrones! So excited for it to be back, but so sad there's only like 15 episodes left I think and only 2 more seasons.. so sad, BUT really can't wait to see how everything plays out. I'm a total beautyblender lover as well. I never thought I would be, but I can't do my makeup without a sponge now! Girl I feel you, I converted to sponges and blenders too. At first they seemed strange..like what is wrong with brushes? Now they are my everything! That Violet Voss palette makes my heart melt it's so beautiful!! I also am a huge fan of Jasmine's blog! 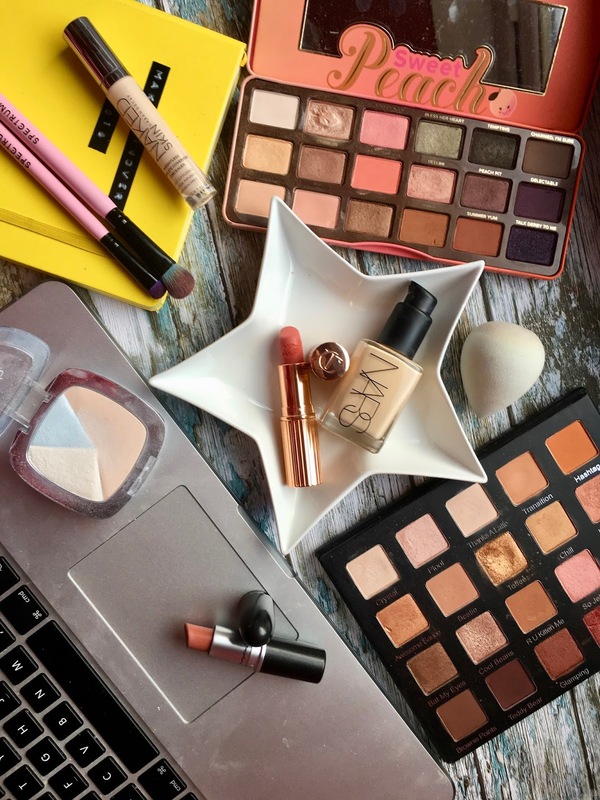 I have so many products I want on this list, especially the Violet Voss Palette and the Urban Decay Naked Concealer! I absolutely love Tati too, her videos are amazing and she's still so humble! I totally want the Sweet Peach palette but I have so many palettes already D: the struggle is real. 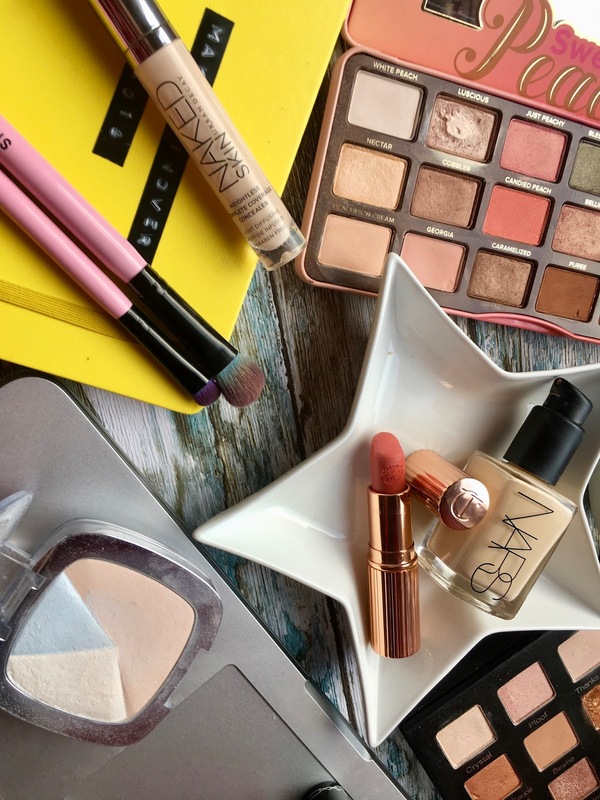 Stunning makeup picks. I love the look of that violet eye shadow palette! I definitely need to try out the urban decay concealer as well and that charlotte tilbury lipstick which looks awesome. These favourites look AMAZING! 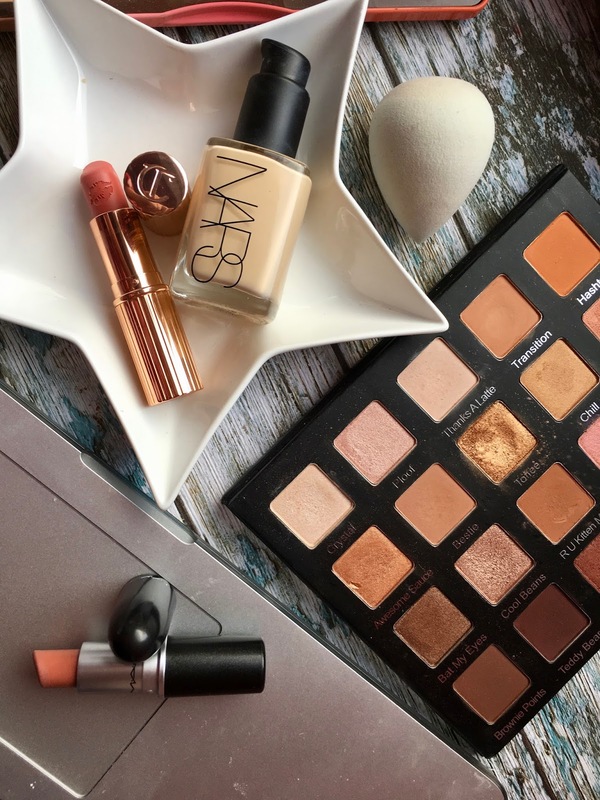 I desperately need to try Nars and Too Faced! Loving your photos too. BLOGMAS: Top Picks From Boots 3 for 2!